Yesterday a fine fellow pointed me towards the Wright auction house website, a company that’s based in Chicago, Illinois. 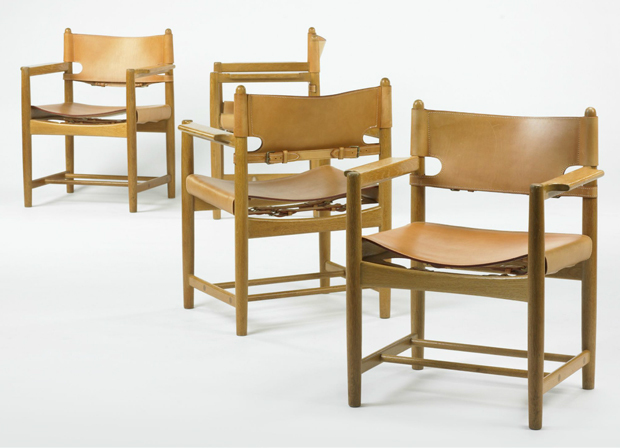 They’re known world over for specialising in modern and contemporary design, selling architect designed furniture from individuals such as Frank Lloyd Wright, Frank Gehry, Charles and Ray Eames, Alvar Aalto and Hans J Wegner. 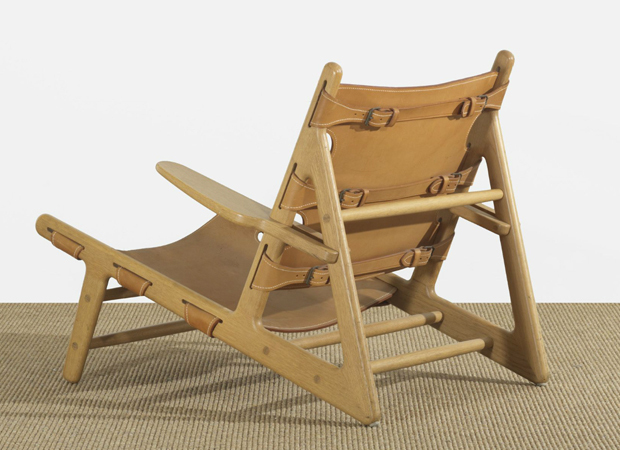 But today I’ve picked out another spectacular architect and designer that goes by the name of Børge Mogensen. 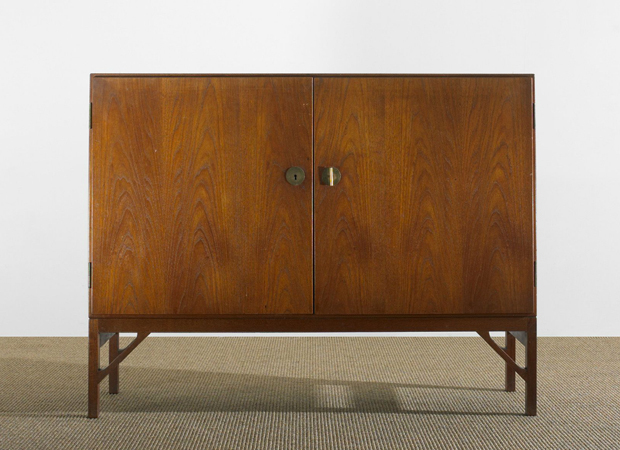 Børge started his career as a cabinet maker and established his own design office in 1950, he had a deep commitment to producing classical, simple and highly functional furniture. 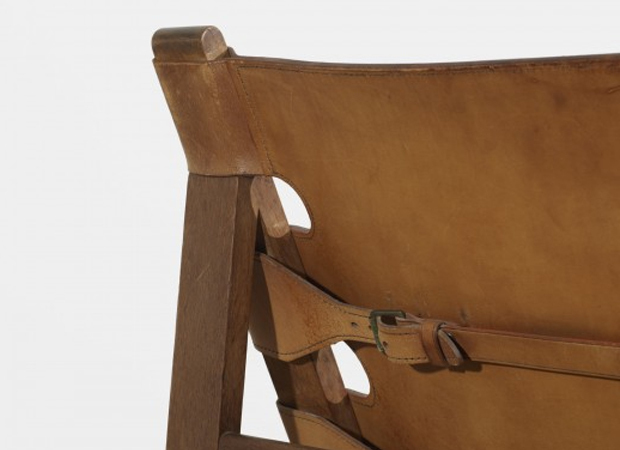 Some quite iconic and important pieces include “The Hunting Chair” from 1950, a simple low chair with an oak frame and leather seat and back, “The Spokeback Sofa” designed in 1945 and “The Spanish Chair” from 1959. One thing that I pulled out from Børge’s career is his research into contemporary lifestyles, for example he studied hard to find out the average size and proportion for an object depending on how one lived. Mogensen used to do studies to determine the standard measurements for common objects, such as clothing and kitchenware, and how many of each item that average person would own. This meant he could then inform his own designs with this information and make very functional pieces that served a purpose in the household. Not surprisingly he is respected across the world for his furniture design and his work has enjoyed worldwide demand for more than half a century. Pretty incredible if you ask me, and I don’t see the demand going away anytime soon either. 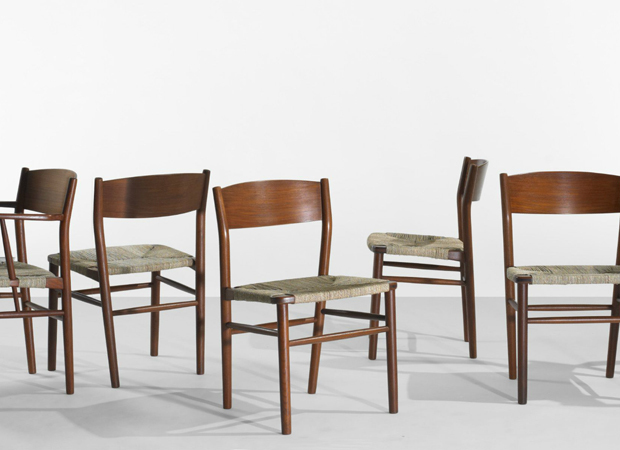 What you can see above and below is a selection of imagery that I pulled out from the Wight auction house website which has been selling Børge Mogensen items since 2003. 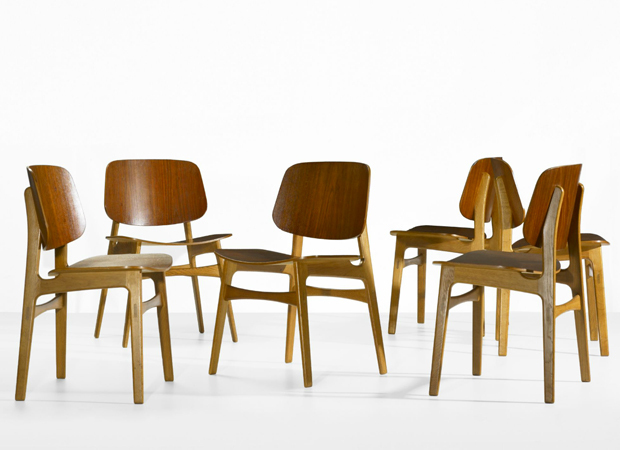 You can see all the stuff that they’ve sold so far by clicking the link towards their website below, obviously they have plenty more objects from other designers, including Eames and Aalto, so you should definitely have a browse through the categories or use the search box on the right hand side.